9505 Tomahawk Road Parker, CO. | MLS# 8135113 | Assist2Sell Piele Realty | Full Service With Savings! 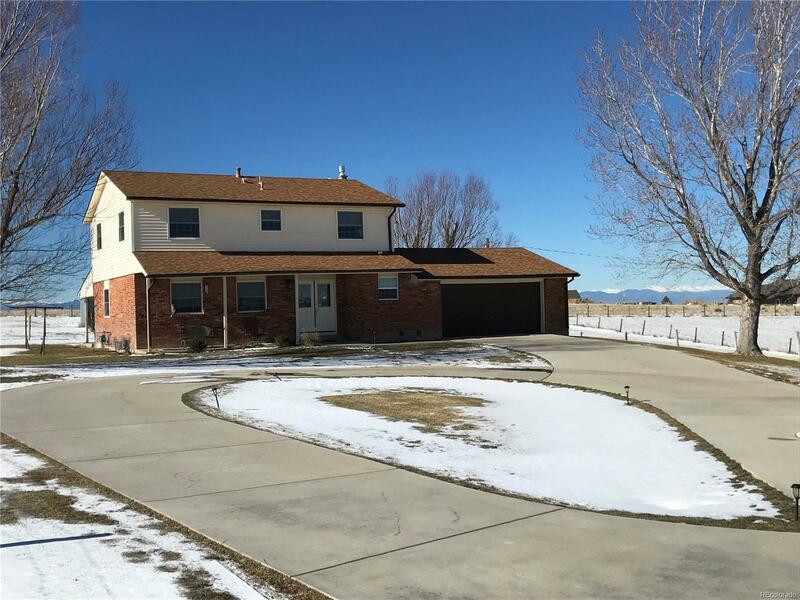 Unique opportunity to own this wonderful horse property within minutes of Parker! This well maintained home is situated on 4.5 fully fenced acres with expansive mountain views. The home boasts an updated kitchen with granite tops and beautiful hardwood floors. The kitchen and dinning rooms each open to a covered patio with a large sitting area including a six person hot tub and gas fire pit. There are four bedrooms and two baths on the upper level and a fully finished basement with two additional bedrooms, 1/2 bath, family/rec area and lots of additional storage. The barn consists of five stalls with a small tack room and hay loft area and adjoins to an enclosed loafing pen. The property is completely fenced and ready to accommodate your animals! Come see this beautiful property before it's too late! !